Supply prices and application prices HERE! 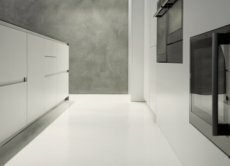 APSE technologies present a wide range of innovative materials for resin flooring and industrial floorings, microcement, modern decorative plasters,epoxy and polyurethane resins and hardeners for the most varied utilizations. All our materials have been certified for quality and safety and are wholly in compliance with European standards for Building Materials: you cane rely upon the Made-in-Italy quality of our products. This original material can be applied on whatever kind of surface. Its high adhesion allows a good grip on every kind of base. 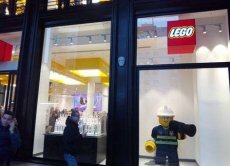 It is applied in a thin layer, thus allowing the user to save material and not add weight to the surface. It can be used in every kind of setting: bathroom, shower, bedroom, office and public places. 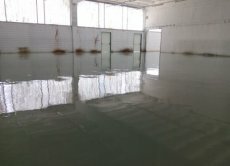 Resin floors are widely used. They have high compression and industrial traction resistances; they are wtare-proof and thus suitable for industrial sheds, storages, and even pools. 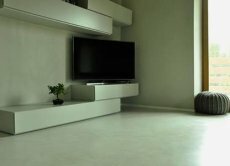 Their unique adherence quality is long lasting on every type of surface. Continuous research and development of original materials allow us to create self-leveling flooring products for every use. Including decorative and 3-D floors: having no boundaries but fantasy, creative solutions are at hand with our self-leveling resin systems. Your house will become a design success.